HIPAA compliant video conferencing is fast becoming a must-have technology for healthcare providers looking to expand their reach. Large healthcare institutions and solo practitioners alike are utilizing the OmniJoin cloud-based telemedicine solution to grow their telehealth practices and personally connect with patients from virtually anywhere. 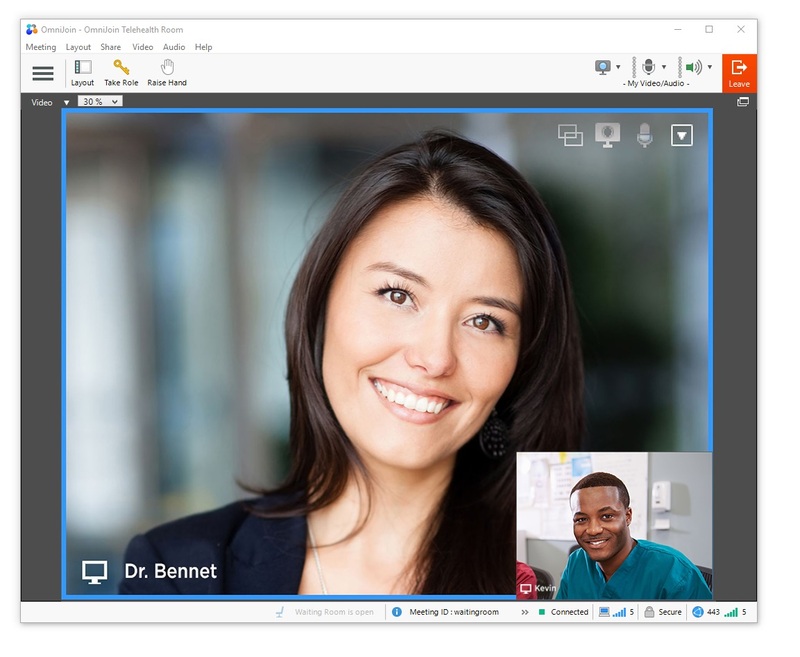 OmniJoin meets the HIPAA requirements under the security rule, while making it easy to provide remote care, conduct online meetings and offer training sessions in hassle-free, HD video. The OmniJoin online Waiting Room gives doctors and practitioners the ability to create a virtual waiting room, where you can queue and meet with patients quickly and efficiently. 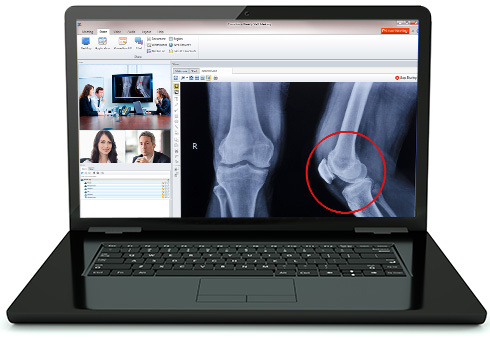 OmniJoin for Healthcare enables HIPAA compliant video conferencing. Wherever healthcare and technology overlap, questions about the Health Insurance Portability and Accountability Act (HIPAA) inevitably arise. We understand and appreciate the importance of providing customers with services that comply with laws applicable to their business. With its high security standards, OmniJoin web and video conferencing for healthcare exceeds the Technical Safeguards of HIPAA's Security Rule related to authentication and encryption, and helps you comply with your compliance obligations. The OmniJoin simplified patient layout allows you to expose only the most basic controls to patients when meeting with a doctor. By limiting the features they are able to see, you eliminate any confusion by the patient, allowing them to only focus on their interaction with the doctor. Telehealth is a solution to many of the classic challenges medical professionals encounter including remote access to care, cost effective delivery and distribution of limited providers.